Atim — International Prodimex - Italian handles and fittings. Dinamico is the innovation of peninsula in the kitchen. Thanks to a guide system you can slide and move the peninsula throughout the main work plane. This allows you to have a support plan that is no longer fixed and static, but you can move it and position it where it is most convenient to assist you in all your activities. 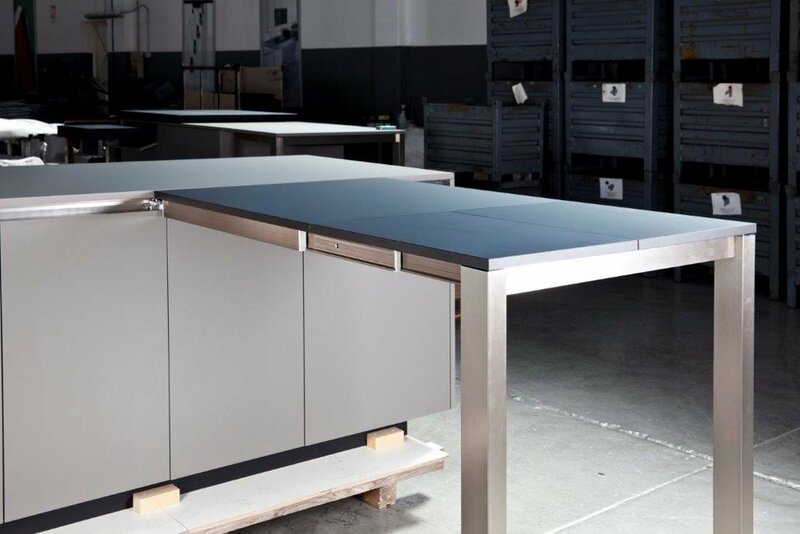 Dinamico additionally has a foldaway extension system that increase the work surface available and turn it into a comfortable table for 5 people. Lunch Reverse is the evolution of one of our top products. It has the inverse opening, compared to the classic LUNCH, that guarantee a greater opening, maintaining solidity and stability, load capacity of 60 kg. The system is available in several standard sizes but can be easily customized in the case of special sizes. 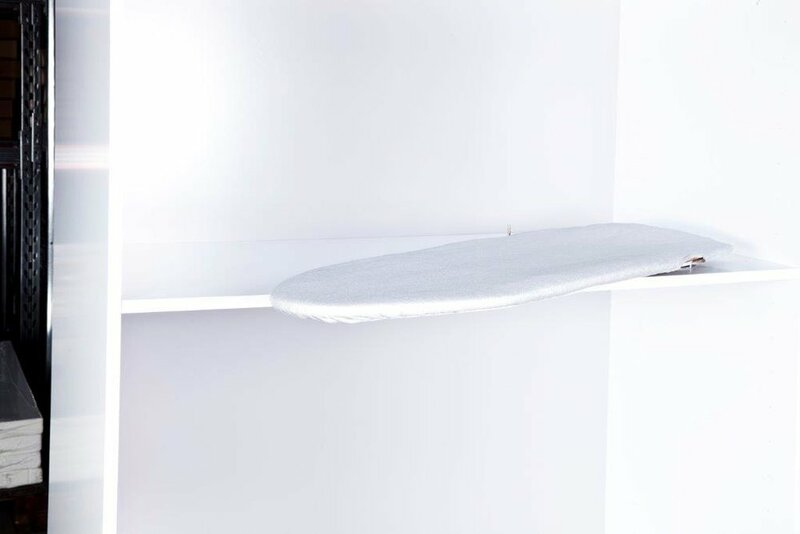 This is a new system that allows the extraction of an ironing board from a shelf. 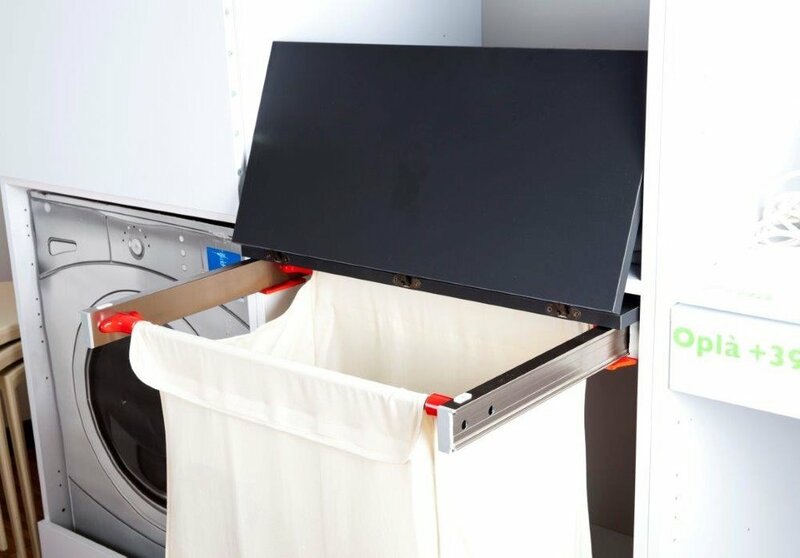 With a simple gesture you will be able to extract the full ironing board without having to store additional parts elsewhere. Bathroom, laundry or wardrobe can be the most suitable environments to position this new rotating system. We have a new born in the range of removable plans. 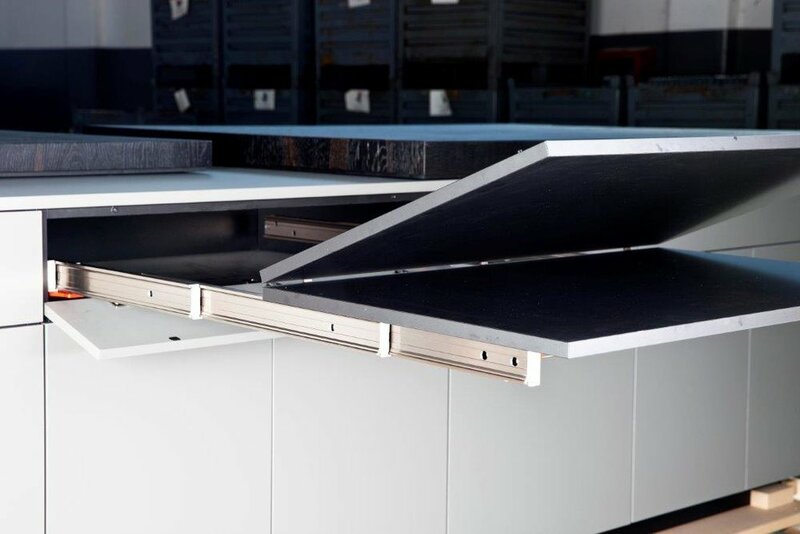 The Shot system allows to extract an extra work surface by a simple drawer. This is an ideal product for kitchens with small tops. Its primary feature is solidity: once extracted, thanks to a locking system, it remains firmly in place with a load capacity of 60 kg. Snack Top is the modern and space-saving solution for your kitchen worktop. With a simple push, the top slides creating a comfortable table useful for breakfast or as an additional work plane. If you want below it, you can even insert burners and sink. All this thanks to solid aluminum guides completely hidden inside the top itself and therefore completely invisible. The product will be available in several standard sizes but can be customized (on request with the soft close system). The basket is the newest system designed to put a clothes basket inside any cabinet. Useful in laundry or in the bathroom to collect dirty clothes, the top (optional) can be a comfortable work plane, for example, to clean the garments. Various sizes will be available and in the package, will be included the sack as per figure. Tetris is one of the endless results that, the new Atim Spa modular system, offers. 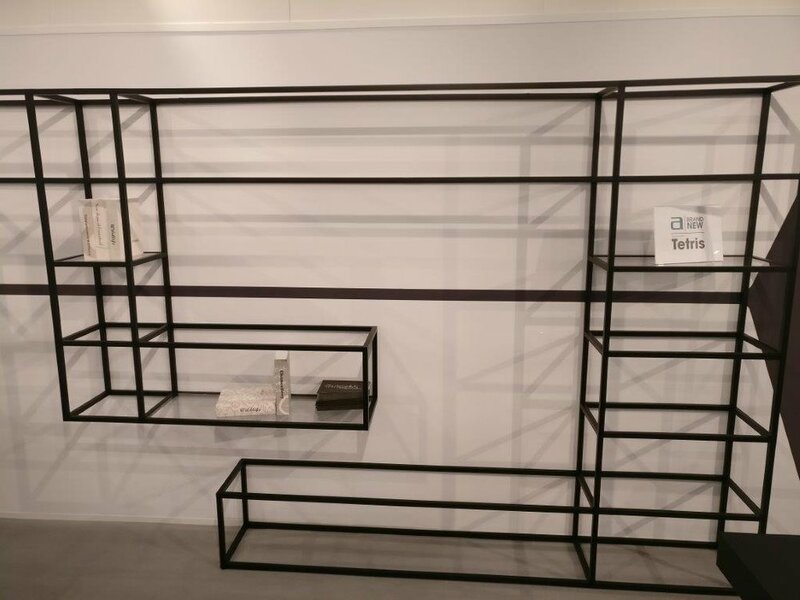 Thanks to a system of multiway joints and aluminum profiles, in fact, you can create many different solutions for shape, aspect and utility: tables, bedside tables, bookcases, wall units, etc. Everything can be mounted, dismantled and adjusted with a conventional Allen key.